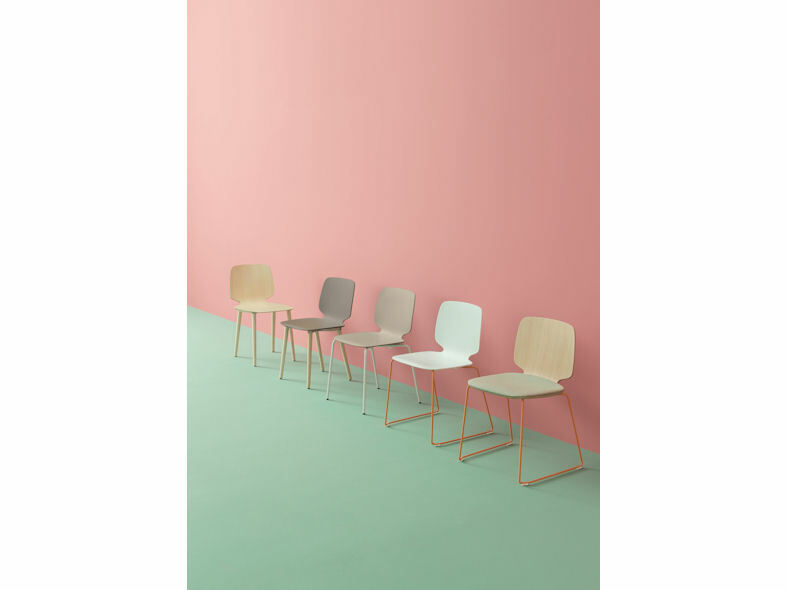 BABILA is a chair able to move along tradition and innovation with great agility. 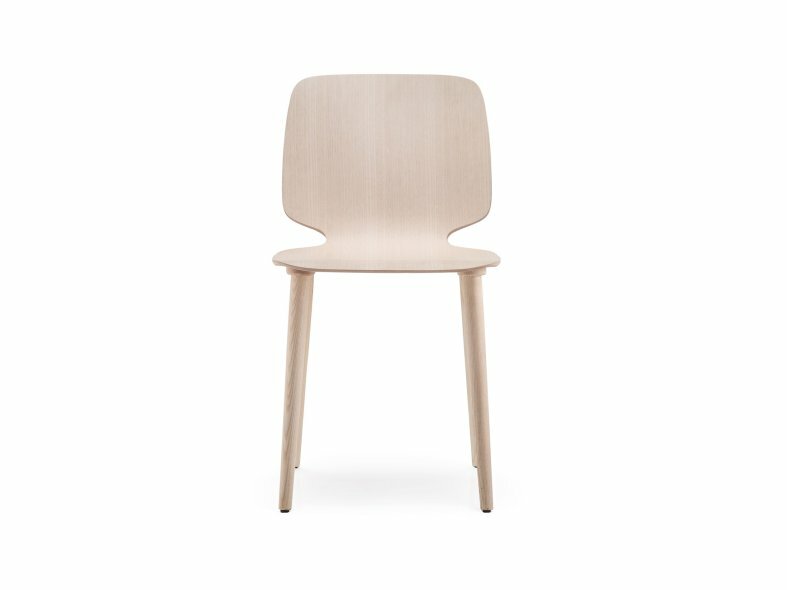 Plywood shell in variable thickness and solid ash legs. 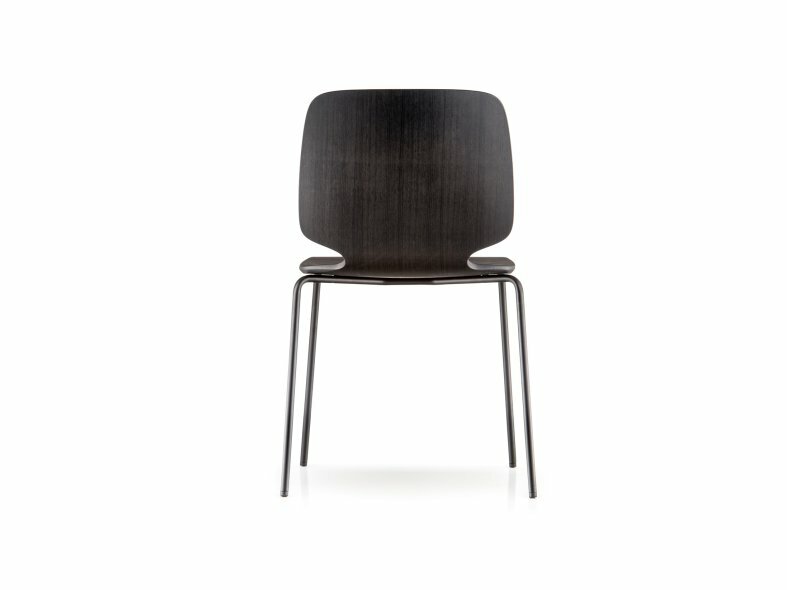 The result is an airy and comfortable sitting with a careful and accurate use of wood. Available with upholstered seat. Also available in n a technopolymer version taking full advantage of elasticity and three-dimensionality of the plastic material. Finishes: bleached ash, or ash stained grey, black, red, yellow and blue. Options: four legs frame in steel tube Ø 16mm, or sled frame in steel rod Ø 10mm.